2 part class taught by Jessica Sitomer, writer, producer and entertainment career coach! AVAILABLE ON DEMAND! They say, “It’s all about who you know”. When you are an introvert, though, networking can sometimes be a challenge. The problem lies in that the less you network, the more challenging it can become, which leads to you networking less, and the viscous cycle takes over. Even in today's world where networking is accessible both on and offline, both ways can still be daunting. How do you start a conversation? How do you know you're saying the right thing? If this sounds familiar - don't worry because you're in luck! Stage 32 is excited to bring you the previously-recorded 2 part class: Networking for Introverts taught by Jessica Sitomer. Learn the ideal strategies for various networking situations as well as a clear follow up plan so your networking pays off. Although Jessica is no longer reviewing the assignments, we still encourage all listeners to participate! Jessica discusses the obstacles of networking and how to overcome them. She covers the do's and don'ts for introverts, how to network when you “don't like people”, how to network when you don't have the time and more, such as what to do if you don't like going to events alone. Jessica runs through actual conversation and icebreaking scripts to help you craft conversations that will make you look great. She also covers how to turn those conversations into relationships that you can maintain and how to follow up in your networking to make sure it pays off. Lastly, she teaches you how to maximize a networking opportunity when you're an introvert, and non-verbal clues in social interaction. Simultaneously, for seventeen years, she's been a career coach for entertainment industry professionals. Within that period she served for seven years as the in-house career coach for the International Cinematographers Guild, Local 600. There she coached over 1000 people one-on-one. Her book, "And...Action! Powerful, Proven, and Proactive Strategies to Achieve Success in the Entertainment Industry" is available on Amazon. “She knows her stuff and presented it well.” – Evette V.
Learn directly from Jessica Sitomer, International Entertainment Industry Speaker, Career Coach, and Author who has had her writing produced by an Emmy Award winner, produced TV herself and has coached thousands of professionals who work in the entertainment industry! In this Stage 32 Next Level Webinar, you will learn the cultural differences between the way Angelinos and New Yorkers go after work in comparison to the UK, Canada, Atlanta, New Orleans, etc. If you are uncomfortable asking for work, or have seen what you consider “aggressive” strategies, your host Jessica Sitomer is going to modify her typical networking strategies and techniques to appeal to you! Yes, you can be polite, and still get work! You will leave the webinar knowing: How to meet people who can hire you in a natural, authentic way. How to connect with people on social media without being annoying. How to get your “horn tooted” without you having to “toot your own horn”. Networking tips for genuine connections. How to stay in touch with a new connection without being a pest. How to feel more comfortable and confident in the work generating process. Your host Jessica Sitomer is a world traveled speaker and panel moderator who modifies her topics to fit the needs and the culture of the participants in each location. She has coached thousands of people worldwide, and is proud to see her clients’ names on almost every TV and film she sees. Simultaneously, Jessica works as a professional in the entertainment industry, on shows for ABC, Nickelodeon, Showtime, MTV, and had her writing produced by an Emmy Award winning producer. Brought back by popular demand, she is here exclusively for Stage 32 to pass on her knowledge and experience of working with thousands of people, just like you, to make your journey to find work a comfortable ride. Get an Agent and Rock Episodic Season! Learn directly from Jessica Sitomer, International Entertainment Industry Speaker, Career Coach, and Author, as well as Producer of three TV shows, actress, produced writer and development associate! Episodic season is around the corner, and if you don’t already have an agent or manager, now is the time to strike! Easier said than done, right? What if we told you there was a proven strategy for finding and obtaining legitimate representation no matter your creative discipline? In this Stage 32 Next Level Webinar, host Jessica Sitomer will reveal that, through interviewing agents and having her own representation through the years, there is a strategy for getting agents! Stage 32 is thrilled to bring back Jessica Sitomer to teach! Jessica consistently receives 100% satisfaction ratings on her webinars and classes (see reviews below!) and has a knack for providing excellent, immediately useful information in a genuine and easy to implement way. You will leave the webinar knowing: What type of client are you? The three ways Agents categorize their clients (you may not like the one you fall under). Three questions an Agent wants to know before taking you on. 4-step strategy for getting an Agent. How to rock episodic season with an in-depth plan. How to meet more people. Your host Jessica Sitomer is a world traveled speaker and panel moderator who has coached thousands of people worldwide, and is proud to see her clients’ names on almost every TV show and film she sees. Simultaneously, Jessica works as a professional in the entertainment industry, on shows for ABC, Nickelodeon, Showtime, MTV, and had her writing produced by an Emmy Award winning producer. She is here at Stage 32 to pass on her knowledge and experience of working with thousands of people, just like you, to make your journey a comfortable ride. Learn directly from Jessica Sitomer, Acclaimed International Entertainment Industry Speaker, Career Coach, and Actress, as well as Producer of three TV shows, author, produced writer and development associate! As episodic season is about to start, so are Casting Director workshops. They are a great way to learn and improve your craft, and if you approach them correctly, create lasting relationships with the CDs who teach them. Instead of performing, leaving and sending a thank you note, usually never hearing from the CD again, learn how to stand out in the room and make a lasting impression! In this Stage 32 Next Level Webinar, designed exclusively for this community of actors, host Jessica Sitomer will reveal how much more value you can get from Casting Director workshops than you’re currently getting. You will learn unique questions to ask during the Q&A portion of the workshops, how to brand yourself for the specific CD in the room, how to know when you’re annoying a CD, Jessica’s proven campaign follow up strategy and her “Casting Director Attractor” relationship building strategy. You will leave this webinar knowing how to get the most out of any and all Casting Director workshops you attend! Jessica Sitomer has coached thousands of people worldwide and is proud to see her client’s names on almost every TV show and film she sees. 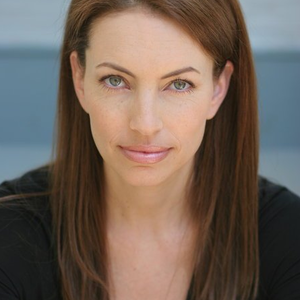 She’s here at Stage 32 to pass on her knowledge and experience to you, to make your acting journey a comfortable ride. “So, what do you do?” – the inevitable question that always comes when networking. You know how they say you never have a second chance to make a first impression? It is absolutely true in the creative industry. Networking and meeting new people always begins with how you introduce yourself. Any connection you make comes from your ability to sell "you" in an intriguing and inviting manner to make another person want to connect with you. Sometimes you have only 10 seconds, sometimes you have 1-2 minutes, and each pitch approach is different. 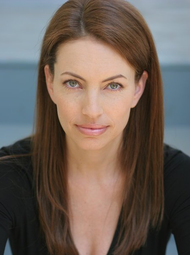 We've brought in Jessica Sitomer who is a long-time expert in the entertainment industry having worked in all areas, from writing and acting to directing and development. She's produced a sitcom pilot as well as two television series, one for MTV and one that is now in post-production. Jessica will be teaching Selling "You": Crafting Your 10, 60 & 120 Second Elevator Pitch. When Jessica was first taught the concept of an elevator pitch in the 90’s, it was all about clearly stating what you do and how you help people in the amount of time it would take to go 10 - 30 seconds in an elevator with someone. NOT ANY MORE!!! The elevator pitch for the new millennium is about standing out by being interesting and memorable! With so many distractions - cell phones, social media, videos, etc. - you must GRAB someone when you're introducing yourself. Jessica is going to teach you how PLUS provide live examples from fellow creatives on how to craft the perfect pitch. . You will walk away with a clear indication on how you can creatively answer “So what do you do?” next time you are asked.